​With the Premier League season drawing towards the business end of the campaign, the table is becoming clearer as to which teams will finish where in terms of the title race, the battle for the top four spots, the relegation scrap and more. Goals often define success, but the other side of the game is equally important to a successful season and the influence of a strong goalkeeper is vital to the endeavours of any Premier League side. Whether its those who have starred for title-chasing sides or others who have dug teams out from the lower reaches of the division, there have been a number of standout goalkeepers in the Premier League this term. Here is a selection of six goalkeeper candidates for the PFA Team of the Year. It is generally easier to praise individual stars of teams towards the top of the league but, in goalkeeping terms especially, it is often those playing for the lower sides who put in the bigger shifts and deserve more credit. None come into that bracket more so than ​Cardiff's Neil Etheridge. Neil Warnock's side may be in the midst of a tough campaign in which hauling themselves clear of the relegation zone has proved difficult, but the Bluebirds have displayed levels of willpower to match any in the league. Etheridge has been consistently key to Cardiff's defensive resolve and battling mentality, embodying their never-say-die attitude and keeping seven clean sheets so far this term. If Warnock's side are to survive in the top flight, they will owe much to Etheridge. Another who may have flown under the radar for many in amongst ​Watford's steady progress under Javi Gracia this season, Ben Foster has been a model of professionalism and consistency for the Hornets. The former ​Manchester United shot stopper has been a Premier League mainstay for 14 years, but is enjoying arguably his finest campaign in the top flight to date at the age of 35, having featured in all 28 of Watford's Premier League games to date, keeping seven clean sheets. Watford have been one of the surprise packages of the season as they have steadily gone about cementing their place in the top half of the table, and Foster deserves plenty of plaudits for providing Gracia's side with a seasoned backbone. Undoubtedly the surprise package of the division this season, ​Wolves have enjoyed a stunning return campaign in the Premier League under Nuno Espirito Santo, and remarkably sit seventh in the table. The club's impressive recruitment of high-quality imports has been key to their success this term, and no new signing can claim to have raised the level in a single position than Rui Patricio has in goal. Controversy surrounded his arrival at Molineux from Sporting CP last summer, but there has been little uncertainty over his quality of performances for Nuno's side. The Portuguese has featured in all 28 of Wolves league games this season, keeping six clean sheets. Praising the consistency and top quality reflexes of ​David de Gea has almost become cliche, but the Manchester United goalkeeper has continued to be one of the Premier League's standout performers between the posts this term. The Red Devils endured a troubled first half of the campaign under Jose Mourinho, with United's defensive fragility coming under intense fire, but de Gea's performance levels hardly dropped and the Spaniard's reputation remained unscathed. With United now enjoying a renaissance under Ole Gunnar Solskjaer, De Gea remains a crucial figure for the Red Devils and one which the club are desperate to tie down to a new contract. De Gea has featured in all 28 of United's league games this term, keeping seven clean sheets. Alisson's price tag generated a lot of talk when he arrived at Anfield from Roma for a then-world record fee for a goalkeeper, but the Brazilian has since gone on justify his price with a series of high-quality displays for ​Liverpool. The 26-year-old has provided Jurgen Klopp's side with the top level goalkeeper which they had sorely lacked in recent times, epitomised by the high-profile blunders from Loris Karius as the previous incumbent of Liverpool's number one spot. Alisson has added quality, composure and the elite level of presence between the posts needed to take Liverpool to the next level. The Brazil number one has starred in all 28 of Liverpool's games as they make a charge for the title, keeping a league-best 16 clean sheets. Alisson may have brought a South American swagger in goal for Liverpool this season, but there is little the Brazilian is doing at Anfield that Ederson has not already done for ​Manchester City to revolutionise the demands of a Premier League goalkeeper. 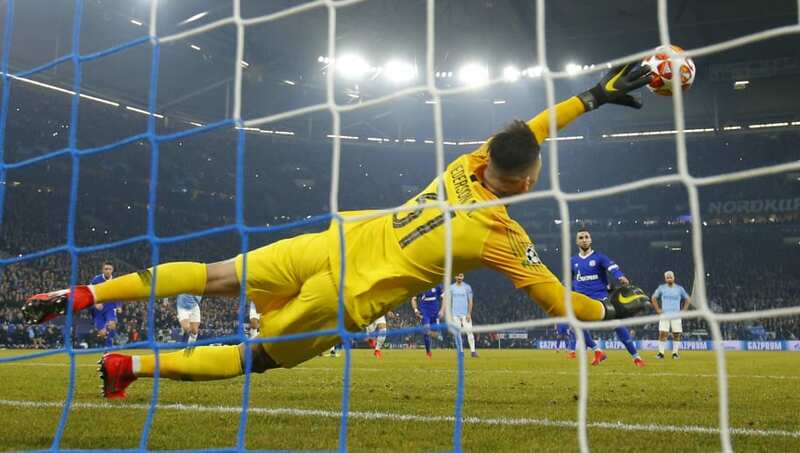 Ederson continues to be an unflinching, polished performer between the posts for Pep Guardiola this term, having played a huge part in City's title triumph last season, and remains a vital component in the champions style of play. Overshadowed in many respects by the record-shattering arrivals of Alisson and Kepa Arrizabalaga at ​Chelsea this season, Ederson has continued to perform as arguably the most consistent goalkeeper in the division. The Brazilian has featured in every league game this term, keeping 14 clean sheets and providing a cool head to begin City's attacks from the back.